A detailed look into the claustrophobic and terrifying world of a German U-boat crew hunting ships from undersea. Gritty, realistic, and peppered with black humour, this is one of the few sympathetic portrayals of the war from the German side to be released in western distribution. 1981’s Das Boot resided in my consciousness for many years before I actually saw it, though I almost watched it many times over the years. My first “near-miss” came when it ran theatrically here in the US back in the spring of 1982. This came at the end of my first year of high school German and our teachers wanted to take us to see it. However, for some strange reason, someone thought better of escorting a bunch of fourteen and fifteen year olds to an "R"-rated movie, so that didn't happen. My father thought Das Boot was a great movie, so I gave it a shot on videotape a few times since then. However, I just couldn't do it; it seemed so slow and tedious that I just couldn't get into it. After many years of not trying, I decided to give it another shot when Dad got the "director's cut" DVD. On one hand, this version was a lot longer, so that made the prospect of watching it even more daunting, but on the other hand, I'd heard how great the 5.1 mix of it was, and I'm certainly a sucker for a hot surround track! Twice I borrowed it from the old man, and twice I only made it about half an hour into the thing. I don't know what it was, but the movie simply didn't engage me. I thought I'd give it one more shot before I returned the DVD and never looked back, so I finally made it all the way through the flick back in 1999. After all that time, what did I think of it? Ehhhh – it seemed okay. It does remain a very long movie, as the director's cut runs three and a half hours. This made it tough going at times, but the film offered enough excitement to help me last until the end. Overall, however, the film really can be fairly monotonous, which I think occurred by design. Director Wolfgang Petersen wanted to present a realistic view of life on a submarine during World War II, and it appears that he succeeded. I have no idea what it would really be like, but this movie seems to offer a representative view. In an interesting choice, Petersen almost completely leave politics out of the story. Very rarely are we made aware that these characters are, in fact, Nazis. I guess this is a good thing, since we almost never see films that show Nazis as anything other than monsters; Das Boot clearly demonstrates the human side of those people. However, I must admit that something about that decision makes me feel vaguely uneasy; considering the horror that they inflicted, maybe we shouldn’t ever develop much sympathy for or identification with them. Somehow, it feels to me as if this sort of presentation hides the reality in a way. Not that I believe Petersen intended to do so. I think he simply wanted to make a good action picture that accurately depicted the way life in a World War II submarine, and he succeeded for the most part. Although a few actors seem to veer toward hamminess, Das Boot generally provides a well-acted movie. At the top of the list we fin Jurgen Prochnow as the unnamed sub Captain. To be honest, I always feel that I'm at something of a disadvantage when I have to appraise the quality of acting in a foreign-language film. So much of what we interpret as "good acting" stems from the way the actor delivers dialogue, and that's much harder to judge when we can't understand what they're saying. Who knows how much or how little nuance and effectiveness there is in their readings? Das Boot doesn't suffer from that problem too much because dialogue doesn’t drive the film. As I mentioned, most of the actors communicate their roles well, but Prochnow stands out above the others. Even when I don’t factor in his lines, he offers a very full-blooded portrayal of a man who seems to both love and hate war at the same time. While this remains Petersen's film to win or lose, Prochnow helps make it work a little better. To be frank, I respect Das Boot because it is well done, but it simply doesn't do much for me. It's a good film, but not one that I particularly enjoyed. That doesn't negate the fact that many others really do like it; I just don't feel the same way. Das Boot appears in an aspect ratio of approximately 1.85:1 on this Blu-ray Disc. This was a good representation of a challenging film. Sharpness was fine across the board. No, the movie wasn’t usually razor sharp; it tended toward a little softness much of the time. However, that was to be expected given the settings used; tight, dimly-lit interiors don’t lend themselves to great detail. Indeed, I suspect the movie would’ve looked odd if it boasted incredible detail during those claustrophobic sequences. Definition was more than adequate throughout the flick, so I felt satisfied with that side of the presentation. Jagged edges and moiré effects created no concerns, and I witnessed no edge haloes. Source flaws remained minor; I witnessed a few small blemishes but nothing major. Das Boot generally featured a subdued palette, and the tones came across fairly well. The colors seemed restrained but accurate. Colored lighting came across nicely, and the other tones were positive given the subdued design. Again, one wouldn’t expect – or want – Technicolor theatrics in a movie that took place on-board a dank sub, so the blandness of most hues made sense. Black levels were deep and rich, and shadow detail appeared acceptable. Some low-light shots – of which there were many – looked a bit murky and hazy, but once more, this was expected and logical. At no point did the image of Das Boot turn into something you’d use to impress your friends, but it gave us a solid replication of the source product. On the other hand, one might endorse the DTS-HD MA 5.1 soundtrack of Das Boot as demo material. The soundfield appeared terrifically active and involving. The front channels presented a nicely differentiated and spaced sense of environment, as elements popped up in their correct locations and blended together well. Music demonstrated solid stereo imaging as well. In regard to surround usage, secure your socks or Das Boot may well knock them off your feet. The rear speakers played a heavy role in the production and added a great deal of unique audio to the film. From start to finish, the mix used all five speakers well. Elements seemed appropriately placed in the surrounds and they meshed together smoothly. Movement was clean and natural. Of course, the flick’s action sequences presented the most impressive uses of the rear channels, but even quieter scenes displayed fine utilization of those speakers. Early in the movie, a car went past some drunken sailors, and we heard their racket move past us from front right to rear right as the car drove. Touches like that helped make the soundfield of Das Boot amazing. Audio quality also seemed solid. Due to production factors, the filmmakers dubbed virtually the entire movie, and some of those lines came across as awkward and artificial. However, they usually blended well with the action, and speech usually appeared reasonably natural and distinct with no signs of edginess. Music came across as lively and bright throughout the film, and effects worked very well. Some of the explosions showed a small amount of distortion; the depth charge scenes displayed the most notable tendency in that regard. However, the flaws remained minimal, and the effects mostly sounded clean and accurate. They definitely packed a serious punch, as the movie featured very deep and loud bass response. Low-end stayed nicely tight and concise, though, and never seemed to overwhelm the production. A few other comments about the audio: I listened to the film with the German soundtrack accompanied by English subtitles. At times, I tried it with the English 5.1 soundtrack, but I didn't care for it. Sometimes I prefer dubbed versions of films, because subtitles can severely interfere with the visual flow of the movie. However, I didn't find that to be the case with Das Boot. The subtitles integrated well and did not distract me. Actually, the English dub is pretty well done; as noted during the audio commentary, many of the original actors redid their lines. Unfortunately, it simply doesn't seem to "fit" terribly well; the English lines stand out more than they should. This is surprising, since Petersen indicates that the entire movie was dubbed for the German version due to a too noisy set; there's no reason the English lines should sound any more "artificial" than the German ones. But they do, so I prefer the German mix with subtitles. 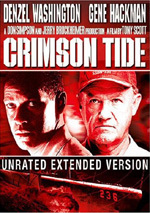 How did the picture and audio of this Blu-ray compare to those of the 1997 DVD? Audio showed more power and range, and visuals demonstrated the standard improvements. The Blu-ray looked tighter, cleaner and better defined. Note than the Blu-ray also betters tha 2003 Superbit DVD. The latter is stronger the original 1997 disc, but still not in the same class as the Blu-ray. The Blu-ray includes some of the DVD’s extras plus new ones. We get both the film’s 1981 theatrical cut (2:29:08) as well as its 1996 Director’s Cut (3:28:08). For the purposes of this review, I only watched the Director’s Cut, which appears on Disc One. I don’t think the 1981 version was ever available on DVD, so it’s nice to get it here, though fans will wonder where the 293-minute “Uncut” edition is. On Disc One, the only supplement comes from a running audio commentary from director Wolfgang Petersen, actor Jurgen Prochnow, and Ortwin Freyermuth, the producer of the director's cut. All three sat together for this running, screen-specific piece original created for the 1996 laserdisc. Freyermuth assists mainly as a moderator; he contributes some interesting information about the restoration of the film, but he leaves most of the talking to the other two. Petersen dominates the track; Prochnow tosses in some tidbits at times, but most of what he says relates to topics brought up by Petersen. Before I originally listened to this track, I’d heard one other commentary from Petersen: his discussion of 1997’s Air Force One. I didn’t much care for it. During too much of the track, he simply detailed fairly dull technical details. Petersen also displayed that tendency here, but not to nearly the same painful degree. He also talked a lot about the differences between the various versions of the film, many aspects of making Das Boot, and a wide variety of other topics. It's a nicely illuminating and informative commentary. In addition to the theatrical cut, Disc Two provides a few other features. We begin with a new documentary entitled Back to the Boat. It goes for 44 minutes, 46 seconds and offers notes from Petersen, Prochnow, Freyermuth, art director Götz Weidner, assistant director Maria Petersen, and international sales agent Mark Damon. The program traces Petersen’s early interest in movies and how he got into the field, the development of Das Boot, and many aspects of the film’s shoot. The prime attraction here comes from visits to the original set; we follow the different participants on that location as they point out its elements and inform us about the movie. We also get notes about marketing the flick and its success. Some of the material found here repeats from the long commentary, but we find a mix of new perspectives, and the conceit of revisiting the set works well. Expect a solid take on the project here. For a look at the longer version of the film, we go to the 13-minute, one-second The Perfect Boat – The Director’s Cut. 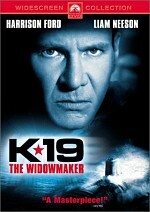 It features Wolfgang Petersen, Freyermuth, and Director’s Cut supervising sound editor/re-recording mixer Michael Keller. The piece delivers various facts about the assemblage of the Director’s Cut. Again, some of the material appears elsewhere, but this offers a pretty concise timeline for the DC’s creation. Maria’s Take lasts nine minutes, 16 seconds and provides remarks from Wolfgang and Maria Petersen as they discuss various aspects of the production, with an emphasis on her work. They give us a nice look back, especially when Maria covers some of the problems she experienced along the way. For the final modern program, Captain’s Tour – Inside the Boat lasts eight minutes, 12 seconds and involves Prochnow as he leads us through the set. This has some similarities with “Back to the Boat” but it offers a greater historical emphasis and becomes a satisfying examination of the topics. After this we get two vintage pieces. A 1981 Behind the Scenes Documentary goes for one hour and 20 seconds as it involves a great deal of footage from the set. Narration explains what we see as we check out the shoot from a first-person perspective. That factor makes this an unusually intriguing program, as it gives us a nice take on the production. The Battle of the Atlantic comes from 1983 and runs 40 minutes, 16 seconds. 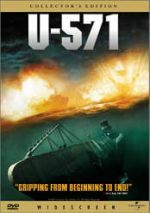 It offers a historical perspective on the events that inspired Das Boot and details the U-Boat warfare of WWII. “Battle” concentrates mostly on archival footage and narration; a few soundbites from mostly unnamed vets appear, but they’re a minor component. The overall presentation works well, and we get a good take on the era. Do we lose anything from the 1997 DVD? Yes, but not much. It drops a short promotional featurette and some text materials. Since the Blu-ray more than compensates with all its new materials, I don’t mind these omissions. Overall, I recognize that Das Boot is a very well made film that clearly interests and excites a lot of people. Unfortunately, I'm not one of them. I thought the movie had its moments, but generally was somewhat dull; it simply didn't float my boat (or "boot," if you prefer). The Blu-ray delivers good picture, awesome audio and a quality roster of supplements. 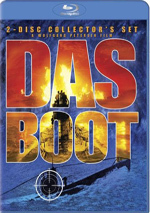 Because it doesn’t include the long “TV version” of the film, this can’t be called the definitive release of Das Boot, but it’s the best package to hit the market. To rate this film visit the review of the Superbit Edition of DAS BOOT.